Rachel and Josh had morning carpool duty. This was the photo Rachel snapped on the way to "school." If there are better friends in this world, I've never seen them. 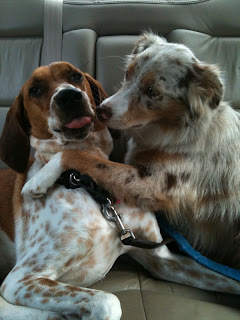 Well, I know I've stuck my tongue out at you before, but you've never sniffed my breath like that.